From our artists to our cruise ship auctions, people are talking about Park West Gallery around the world. Here are some recent news articles featuring Park West Gallery. 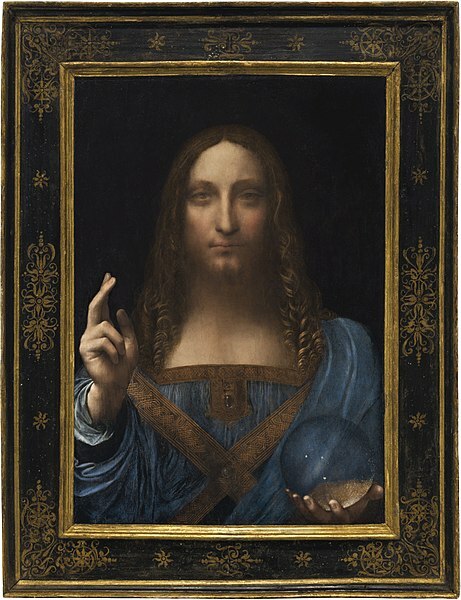 Following the record-setting sale of Leonardo da Vinci’s “Salvator Mundi” (Savior of the World) for $450.3 million, many were left wondering why anyone would pay so much for a single work of art. Most recently, two news outlets—WJR News Talk 960 and Michigan’s Big Show—turned to the expertise of Park West Gallery Founder and CEO Albert Scaglione for answers. Scaglione said he was “somewhat shocked” but not surprised at the price. He cited reasons such as the artwork being one of the few surviving paintings by Leonardo not owned by a museum. Listen to the Michigan’s Big Show segment here. Metro Detroit’s Daily Tribune recently sat down with Park West Gallery artist Tim Yanke to discuss his Neo-West artwork. In the article, Yanke explains how losing his sister inspired him to feature themes and motifs from the American West in his art. “I’m in Detroit, so feel a little displaced doing this style of art sometimes, but it’s in my soul—it’s in my psyche. It’s part of me. Why try to fight it? I embrace it,” Yanke says. Yanke’s artwork, sold exclusively though Park West Gallery, is characterized by bold lines, vivid hues, and Southwestern imagery. His most popular works include his “Dragonfly” series and his “Yanke Doodle” series that depicts the U.S. flag. 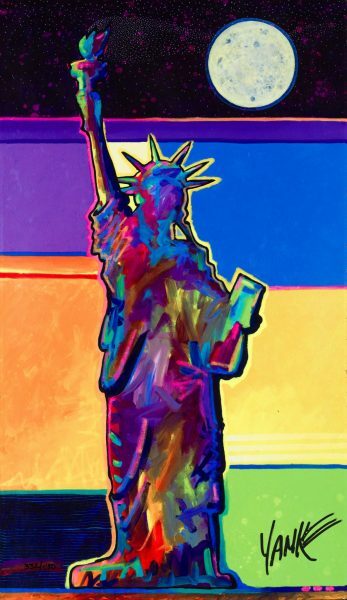 Among his most recent works is “Miss America,” a painting featuring the Statue of Liberty, which brings to life Yanke’s love of his country and the values it represents. “Whatever your viewpoint may be, it’s my point to say let’s get back to the basics,” Yanke says. Read the full article at the Daily Tribune. To keep up with the latest news and sales, follow Park West Gallery on Facebook, Twitter, and Instagram. I attend all the auctions while cruising and I have acquired some beautiful pieces over the years, recently a Peter Max. Park West is a wonderful auction house with a great collection to choose from on nearly any budget. I was interested in some paintings that were offered on the Ruby Princess in October as a special. Is it too late to get that deal? We have bought so much art on the ships that our house looks like a Park West Art Gallery! We have bought an house full of art from cruise ship & land base from Park West Art Gallery. Looking forward to our next art cruise ship adventure. 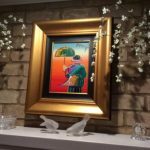 I purchased a Peter Max during a Mediterranean Cruise 3 or 4 years ago. The painting was of Muhammad Ali, how do I go about getting the current appraised value? Hi Helena, and thank you for collecting with us! You can contact appraisals@parkwestgallery.com for more information. Our hobbies consist of buying art from Park West and cruising! Thanks for the great pricing on spectacular art! Looking for a Picasso but haven’t found it yet. We have several pieces from the two previous Park West Auctions. I would like to see more southwestern art such as Terpning, J.D. Challenger, Larsen and some Keathley. I would like to see more diversity at the auctions…it seems Goddard, Pino, Peter Max are always featured. We have cruised six different places with Royal Caribbean and have bought pieces of art on every cruise. So, we are out of wall space in our home, which is fairly large. My wife and I go cruising every year on the P&O Pacific Dawn. We have an extensive collection of works of art by mainly Peter Max which we love and who is our favourite artist. These works of art were purchased from the Park West Gallery actions on these cruises over the past several years. We also have other works of art by numerous other excellent artists which we also enjoy immensely and which we also purchased on these past cruises from Park West Gallery auctions. This time, much to our surprise, and with somewhat huge disappointment, we found that when we bordered our yearly cruise on the P&O Pacific Dawn only just recently (November ’17) there was no Park West Gallery, no art auctions, no art at all on board!! This was always one of the biggest highlights of our cruises as we always add to our collection of art when we are there. Hopefully when we cruise again next year P&O will have resumed their association with Park West Gallery (fingers crossed). The wide and extensive range of art and artists which are displayed at these on-board auctions are always great as it is very hard, if not impossible, to find a one stop art gallery such as this in Australia. 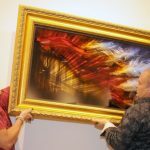 Park West Gallery auctions are a great way to buy art and they have always been up front, honest and genuine with us in our art purchases with them over the years. I also enjoy cruising and attend every art auction on board. I learn so much. I am mad for Emile Bellet. I own 15 giclees, lithographs and serigraphs. I always make room on a wall somewhere. My dream is to own a Bellet painting. Thank you for making art that speaks to me so affordable. Our house has run out of space :(. We literally can not buy any more. We have too many pieces still in the protection they came in. There are no more walls in my home for Park West art, I have collected so many.Thanks Park West There is no way I could afford to go in a gallery on land and buy these wonderful art works. Love cruising and buying art. Hands and head full. Thank you to the entire Park West Team. We went on the Royal Caribbean Voyager of the Sea in January, 2017, due to go again January 2018. The artwork is amazing, we spent up big and our house looks like a Parkwest Gallery. We are particularly fond of Thomas Kinkades work. Divan and his professional group of consultants were amazing with their knowledge and help along the way. Thank you Parkwest so much for the opportunity of owning some of the worlds most wonderful art pieces. And thank you for being one of our wonderful collectors! We just sailed with P&O Cruises (November 2017) and was extremely disappointed to find no Art, No Art Auctions, No Park West Gallery, Nothing. The sea days were boring with no Art Auctions to attend and have fun at. If P&O aren’t going to have Art we won’t be sailing with them again. I went on my first cruise earlier this month on Norwegian’s Breakaway. It was an amazing experience, every part of the cruise was just outstanding. I have now fallen in love with Park West Galleries. I now own a Kinkade, a 13th century manuscript, a Peter Max, a collection of Norman Rockwell’s and several others. Park West made it easy for me to break into the world of collecting fine art, I am grateful. The staff of the gallery on board the ship was phenomenal! I look forward to many more cruises and I especially look forward to expanding my collection of art from Park West. You guys have a customer for life! Again, thank you. Thank you Anthony, we are so glad to have sparked your interest in fine art collecting! We look forward to seeing you again soon.